A lecture by Ardo Hansson, Governor of the Bank of Estonia on Thursday, 9 October 2014, from 4:30 to 6:00 p.m. in the Executive Conference Room of the Intercultural Center (ICC 700). The event is open to the public. The lecture will focus on the economic challenges of the euro area, the impact of the global economic crisis and the policy response. So far, the euro area has witnessed only a gradual recovery. The current situation is a mixture of the impact of the global crisis and the prolonged impact of macroeconomic and structural issues that emerged during recent decades. The different patterns of recovery across European countries depend not only on the diversity of the initial conditions but may deliver some preliminary evidence of the relative success of alternative policy options. 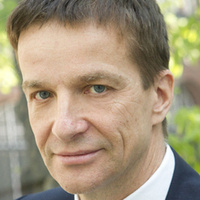 Ardo Hansson has been Governor of the Bank of Estonia since June 2012. He is also Chairman of the Board of the Bank of Estonia, a Member of the Governing Council of the European Central Bank, and Governor of the International Monetary Fund for Estonia. Before taking on his current position, Mr Hans­son worked for the World Bank, where he served as the Lead Economist of the World Bank’s Economics Unit in China from 2008. He joined the World Bank in 1998 and before going to China he worked on several countries in Eastern Europe and the Western Balkans. Between 1991 and 1997, he held several senior positions in the Republic of Estonia, including Economic Adviser to the Estonian Prime Minister in 1992-1995 and in 1997, and adviser to the Minister of Foreign Affairs in 1991-1992. Mr Hansson was also a member of the Monetary Reform Committee, and a member of the Supervisory Board of the Bank of Estonia in 1993-1998. During the 1990s, he was engaged on short-term consulting assign­ments for the governments of Mongolia, Poland, Slovenia and Ukraine. Mr Hansson was born in Chicago, in 1958. He graduated with first class honours from the University of British Columbia in 1980 and earned a Ph.D. in economics from Harvard University in 1987. Since completing his studies, he has held faculty and research positions at several well-known universities in Canada, Finland and Sweden, and has published numerous articles on economic policy.